In New York State improper cell phone use and texting while driving now carries five DMV points. This is an increase of two points, and applies to violations occurring on or after June 1, 2013. Figures released by the National Safety Council shows that in 2011, over 3,300 people were killed, and crash risk increased 23 times due to distraction while driving. Distracted driving occurs when drivers use portable electronic devices such as cell phones to talk, text or send e-mail messages. If you were to sit at a traffic light for a short period you could count an alarming number of motorists who intentionally violate the cell phone/texting law. What does this mean to you? The New York State Motor Vehicle point assessment chart shows that improper cell phone use and texting while driving carries the same five points as reckless driving, and passing a stopped school bus. In comparison, speeding 21-30 miles over the posted limit is six points. These are all classified as serious driving offenses by the DMV. The emphasis on a point assessment increase could be interpreted as a reassessment of the seriousness of these violations. You will definitely receive special attention from insurance carriers, who may use a motorist’s driving record to establish their premiums. New York State’s “Move Over Law” has changed. On all roads and highways, the motorist must use extreme caution when approaching an emergency vehicle stopped on the side of the roadway. Drivers must reduce their speed, and on highways with multiple lanes, drivers must move from the lane adjacent to the emergency or hazard vehicle, unless conditions prevent doing so safely. Effective January 1, 2012, the law which required drivers to shift lanes when approaching emergency vehicles with flashing red and white lights, will now include hazard vehicles, including tow trucks, roadside assistance vehicles, highway crews, and other emergency vehicles with amber lights. New York State was the first state to pass cell phone legislation in 2001. 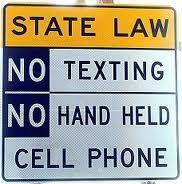 The law made it a traffic infraction for a motorist to drive a motor vehicle while using a hand held cell phone. Conscientious motorists adapted to this legislation by using hands free connections such as bluetooth devices. Still, others would take the risk of a violation, knowing the only potential penalty was a fine. Indeed, if you parked along any busy traffic light intersection in the capital district, you would see an alarming number of intentional cell phone violations. At the time, the motorist convicted of using a hand held cell phone would be liable to pay a fine of up to $100.00. The violation carried no points on the motorist’s license. It’s a New York State Law! The “Move Over Act” Begins on January 1, 2011. As an Upstate New York DWI defense lawyer, I want to share with you a new law that impacts all drivers in New York State. 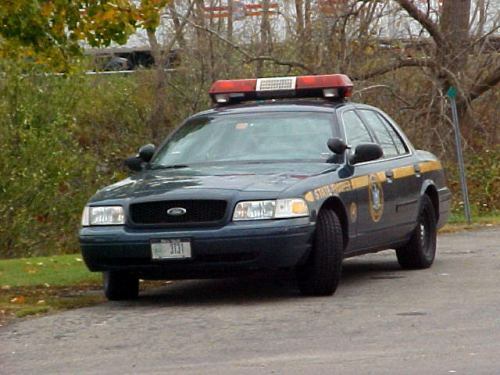 The Ambrose-Searles “Move Over Act” is named after two police officers, New York State Trooper, Robert Ambrose, and Deputy Sheriff, Glenn Searles, who were killed by motorists while their patrol cars were parked on the side of the highway. The “move over” and “slow down” provisions of the law go into effect the first day of 2011. Motorists will be required to use due care when approaching emergency vehicles which are stopped on the shoulder of a road or highway with emergency lights on. Drivers must reduce speed on all roads when encountering a stopped police car or emergency vehicle with emergency lights flashing. On interstates and multiple lane highways, drivers are further required to move over to keep an empty lane between them and the emergency vehicle, unless traffic conditions or other hazards prevent the motorist from changing lanes safely.